Complete Pain Care does not recommend, endorse or make any representation about the efficacy, appropriateness or suitability for you of any specific tests, products, procedures, treatments or other information that may be mentioned on this website. Complete Pain Care expressly disclaims responsibility, and shall have no liability, for any damages, loss, injury, or liability whatsoever suffered as a result of your reliance on the information contained in this site. Please consult your health care provider, or contact Complete Pain Care for an appointment, before making any healthcare decisions or for guidance about Morton’s neuroma. NEVER DISREGARD PROFESSIONAL MEDICAL ADVICE OR DELAY SEEKING MEDICAL TREATMENT BECAUSE OF SOMETHING YOU HAVE READ ON OR ACCESSED THROUGH THIS WEB SITE. If you are in the United States and are experiencing a medical emergency, please call 911 or call for emergency medical help on the nearest telephone. 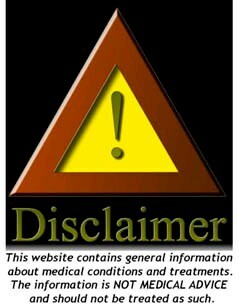 By visiting this site you agree to the foregoing terms and conditions, which may from time to time be changed or supplemented by Complete Pain Care. If you do not agree to the foregoing terms and conditions, you should not enter this site. We serve the greater Metrowest and surrounding areas, including Ashland, Boylston, Framingham, Grafton, Holliston, Hopkinton, Hudson, Marlborough, Medfield, Medway, Milford, Millis, Natick, Northborough, Sherborn, Shrewsbury, Southborough, Wayland, Westborough and Upton. This information is for educational purposes only and is not intended to replace the care or advice given by your physician. Always seek the advice of your physician or other qualified health provider before starting any new treatment or with any questions you may have regarding a medical condition. We’ll find the right treatment for you.